Magnesium is considered to be one of the most important minerals we need, as it is involved in so many different biochemical reactions in the human body. Each organ in our body needs this mineral in order to function, especially the heart, muscles and kidneys. Magnesium also plays an important role in the makeup and health of our teeth and bones. 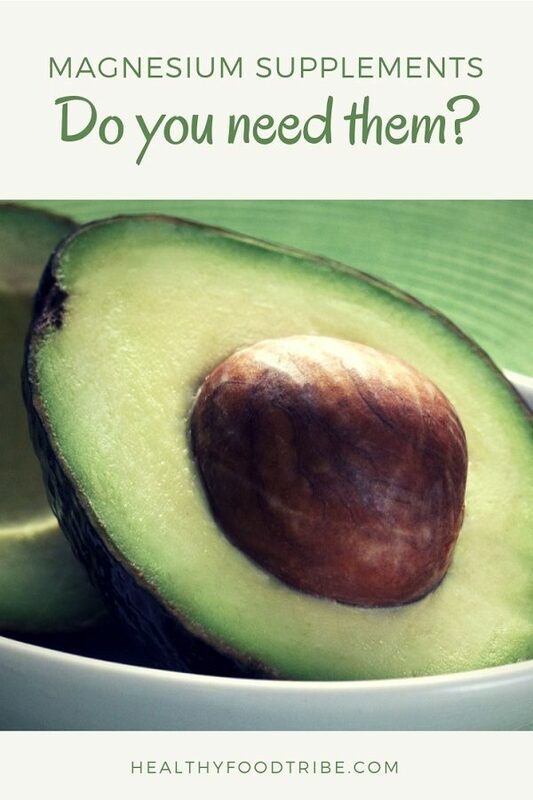 It contributes to energy production and helps to regulate levels of important nutrients in the human body, such as calcium, copper, zinc, potassium and vitamin D.
Sufficient levels of magnesium in your diet can help with treating health issues such as high blood pressure, migraines, diabetes, asthma, arrhythmia, osteoporosis and premenstrual syndrome. Deficiency in magnesium is actually quite common in our society, with more than half of the American population consuming less than the recommended daily intake. This doesn’t necessarily mean that we are all at high risk of severe magnesium deficiency symptoms, but it is definitely something to to consider when looking at your overall health. Common magnesium deficiency symptoms are sleep disorders, nausea, restless leg syndrome, anxiety, low blood pressure, confusion, muscle spasms and weakness, seizures and insomnia. There are also certain health conditions that can lead to magnesium deficiency, such as diabetes, kidney diseases and pancreatitis. In addition, certain lifestyle and diet habits can also increase your risk of deficiency, such as excessive coffee and alcohol consumption, heavy sweating and eating too much sodium. Too much stress can also contribute to deficiency, and sadly, stress is very common in our rushed society. In addition, age can be a factor on how much magnesium we are getting. Typically the older you are, the more at risk you are of becoming magnesium deficient. The modern typical western diet, with its large amounts of processed foods, doesn’t provide us with enough magnesium. It’s an issue that has slowly evolved as such in the last century, caused by declines in the availability of nutrient sources as well as an incline in poor diet choices. Foods that are typically rich in magnesium are beans and nuts, whole grains (i.e. brown rice, whole wheat bread) and leafy greens. The sad truth is that our modern western diet doesn’t contain enough of these foods. In addition, the processing of foods eliminates a lot of these nutrients that we would otherwise benefit from. Magnesium is one of the most important minerals as it plays a role in so many different processes in the human body. While severe magnesium deficiency is relatively rare, but the percentage of people with a lower than recommended intake of this mineral is far too high. This doesn’t have to be a huge concern, but it does mean that these people are more vulnerable to potentially harmful magnesium deficiency symptoms. In addition, they are potentially missing out on the strong health benefits of magnesium as a mineral. For some it may perhaps not be as easy to top up magnesium intake via dietary changes. In that case, magnesium supplements can be a great solution. In addition, supplements can also be suitable for people who suffer from certain health conditions, or for people with certain lifestyle and diet habits (see above). If you’re thinking of taking supplements, or if you suspect that you’re suffering from magnesium deficiency symptoms, it’s best to talk to a doctor or a nutritionist in the first instance. They will be able to help you with an overall health and diet assessment and make recommendations based on that. >> Read more about the benefits of turmeric and curcumin supplements. Magnesium supplements are special in the sense that there are quite a few different types of supplements. Each type has its own benefits and targets different symptoms so it’s important to understand which is the best magnesium supplement for you. In addition, the absorption rate differs per type of magnesium supplement. Magnesium typically “collaborates” with other minerals in the body to achieve good things. This is why there are so many different types of supplements, with each type offering this mineral in a different form. Here is a list of the different types of magnesium supplements along with recommended products per type. These supplements are selected based on brand trustworthiness, public reviews, pricing, ingredients and sales figures. Magnesium oxide is magnesium (Mg) bonded to oxygen (O), making it MgO. This is known to be one of the poorly absorbed forms of magnesium supplements. On a positive note though, magnesium oxide has the highest magnesium content per dose. In other words, the absorption rate per dose is therefore quite good. This type of magnesium supplement is considered a general purpose supplement, suitable if you’re just a bit low in magnesium with no specific deficiency symptoms that you wish to target. You’ll often find magnesium oxide as part of multivitamin supplements. One of the most popular and best known magnesium supplements on the market, magnesium citrate is magnesium bonded to citric acid. Citric acid is a larger molecule and improves absorption rate. So magnesium citrate version has a higher absorption rate but a much lower magnesium content per dose than magnesium oxide. This magnesium supplement is typically used to improve digestion and to prevent constipation. It is able to attract water into the colon leading to bowel movements. There is a risk of strong laxative effects when it’s taken in too high doses. Even if you don’t have digestion issue, magnesium citrate can also serve as a general purpose supplement to increase your magnesium levels. Bonded to glycine, a non-essential amino acid, magnesium glycinate is a very bio-available and absorb-able type of magnesium supplement. Unlike magnesium citrate, magnesium glycinate won’t cause any diarrhea or laxative issues and is therefore a safe option if you would simply like to increase your magnesium levels. Magnseium glycinate is also a suitable supplement if you’re looking to achieve a more relaxed state of mind and to calm your nerves. Glycine is a relaxing neurotransmitter and can enhance the natural relaxation properties of magnesium. Magnesium oxide is magnesium bonded to malic acid, a natural fruit acid that plays a key role in the process of energy production in the human body. Magnesium malate is good for people with low energy and who are feeling fatigued or even depressed. It also works well against muscle pain and fibromyalgia symptoms. Magnesium malate has become more popular in recent years, possibly due to the fact that feeling fatigued and low on energy is becoming more and more common in our western society. There are some high quality magnesium malate supplements available on the market that really target these types of symptoms. Bonded to taurine, magnesium taurate is a fairly new type of supplement that isn’t yet so widely available. Magnesium taurate is typically taken to help alleviate cardiac issues such as irregular heartbeat and high blood pressure. This type of magnesium supplement relaxes the heart muscle and blood vessels leading to the heart. Taurine is an amino acid that has many fundamental biological roles, such as supporting cardiovascular function and central nervous system function. Magnesium chloride supplements typically have a very low elemental magnesium content per dose, but they have a very strong absorption rate. This type of magnesium supplement usually comes in lotion, gel or oil form and is used topically for muscle relaxation and to relieve muscle cramps. It can also be used for detoxing cells and tissue and to improve kidney function and metabolism. 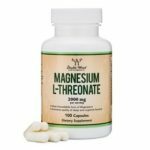 Magnesium Threonate (MgT) (or L-Threonate) supplements are the latest type of magnesium supplements on the market, although they are still quite hard to find. Since it’s so new, more research into the effects of magnesium threonate is needed. This type of supplement is typically used for headaches, migraines and even Alzheimer’s and other types of cognitive decline. The brain magnesium has also been linked to improved learning abilities and memory capacity as well as enhanced sleep quality. Magnesium chalete is simply a term for magnesium that is part of a larger molecule. I’ve included it in this list as it’s a quite a common term used in the world of magnesium supplements, but it’s not really a type of magnesium supplement as such. Essentially each magnesium supplement where the magnesium is bonded to something else, is a form of chelated magnesium. We’ve picked the Doctor’s Best High Absorption magnesium glycinate product (see number 3) as the best chelated magnesium supplement. This product has been around for a long time and is consistently receiving positive feedback and reviews. Hopefully this article has given you a better understanding of the best magnesium supplements available so you know which one to pick. Magnesium plays a hugely important role in the body and deficiency is something we need to avoid. Sadly though, in our modern western society, magnesium deficiency is actually quite common. While doctors won’t easily tell you that you’re deficient (as it’s hard to measure), it is recommended to seek advice from a healthcare professional or a dietician if you suffer from some of the deficiency symptoms. Magnesium supplements can be a great solution for some, but in general it’s always good to try and resolve any deficiencies you may have by making changes to your daily diet.